Welcome to the Mira Floors archive of news articles, tv coverage and press releases. We are happy to assist with any media inquires and interview requests. Please contact us by phone at 604-856-4799 or by email. Surrey (September 15, 2016) Canadian Business and PROFIT today ranked MIRA Floors and Interiors No. 447 on the 28th annual PROFIT 500, the definitive ranking of Canada’s Fastest-Growing Companies. 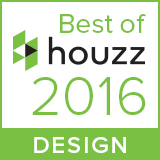 MIRA Floors and Interiors won Best of Houzz 2016 in the Design category for their Vancouver Basement Renovation Project. Surrey-based Mira Floors has won the Innovative Business Practices Award from the Better Business Bureau. The Surrey-based flooring and window covering company has been given an award by the Better Business Bureau. MIRA Floors is on Business in Vancouver's Fastest Growing Companies list for 272% growth between 2008-2012. 6.5 billion pounds of carpet are dumped into North American landfills each year. 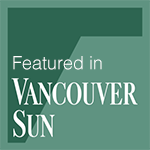 Metro Vancouver alone contributes 90 million pounds. The BC Non-Profit Housing Association's magazine profiles new carpet recycling for members to make their flooring renovations greener. Few people stop to consider what happens to carpets once they are removed from their home or business. Mira Floors, in partnership with Aspera Recycling, has introduced a carpet recycling service for homeowners and commercial projects. Mira was able to partner with Atira Women’s Resource Society and aid in renovating and re-furnishing Sereena’s House, a shelter that provides homes for up to 58 women who live in the shelter year round. Mira owner Kevin Bergstresser spoke with Olsen on Your Side to provide insight on how the renovation tax credit helped companies like MIRA that rely on renovations. Mike is very personable and was very cautious and took a lot of care in this job. Cleaned up after himself completely. He was great and did an awesome job.